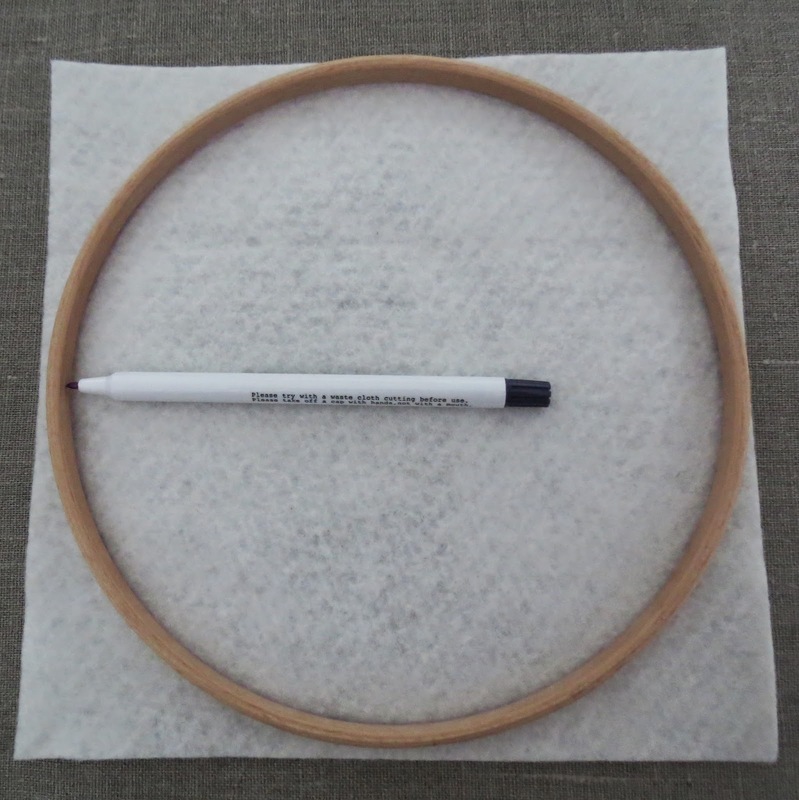 Before you start your hoop art, trace using a soft leaded pencil or fabric pen the inner hoop’s contour onto a piece of felt, then cut out. 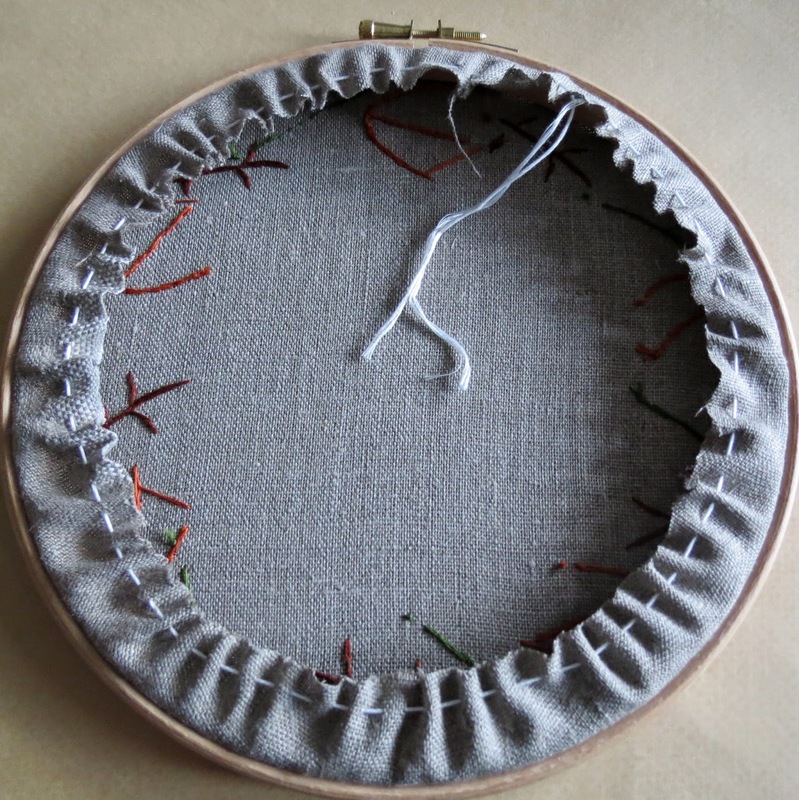 Once you've finished your embroidery, turn the hoop over and trim the excess fabric 1” ( 2 ½ cm) away from the hoop edge. 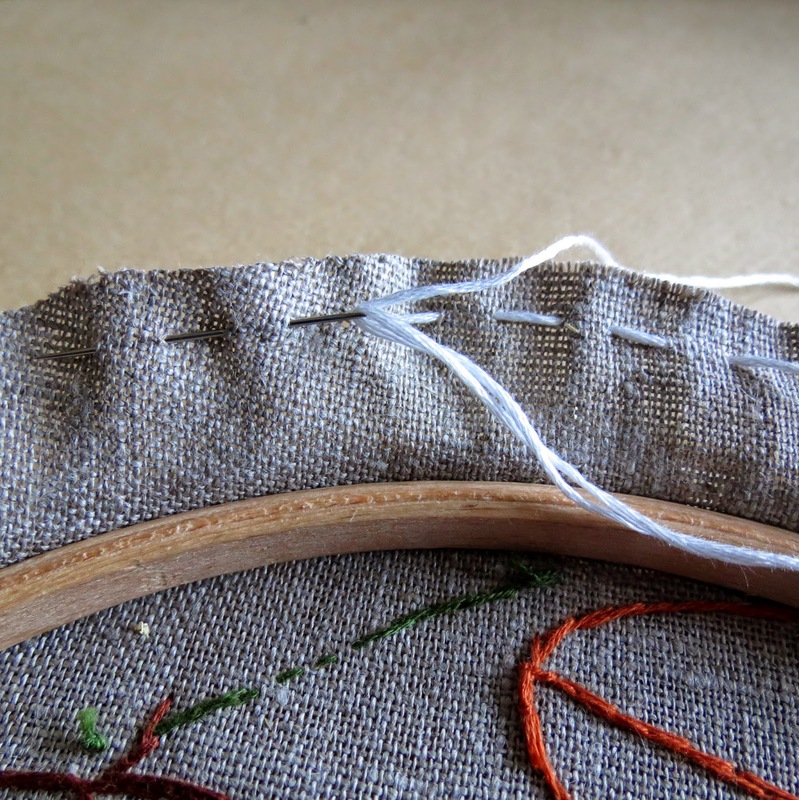 Using embroidery thread or something similar, starting at the top, stitch a row of running stitch around the seam allowance, ensuring that you leave a long tail at the beginning. 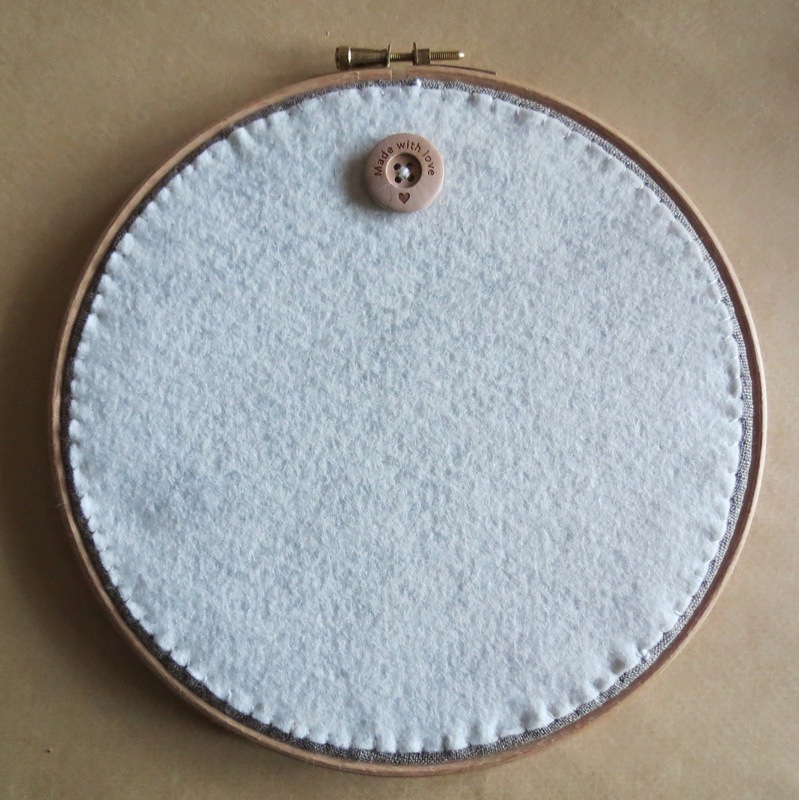 To neatly finish the back of your hoop, take the circle of felt you prepared earlier and Whip Stitch in co-ordinating coloured embroidery thread the felt circle to the gathered linen below. Ta Dah.......that’s it the back of your hoop is all lovely and neat. Hang in place, stand back, admire and enjoy!!! 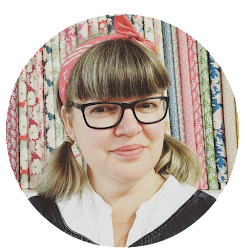 In case you're interested, the piece I backed was my Autumn Leaves Hoop, which you can read all about HERE. 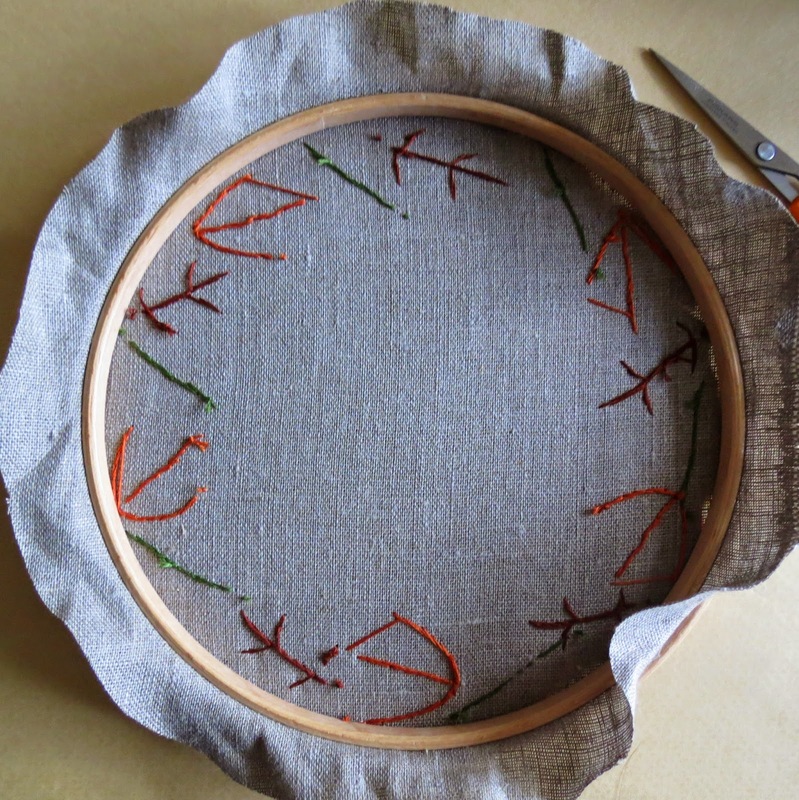 A very neat way to finish off any embroidery in a hoop. Simple to do too, which makes it even more attractive. Great effect, a clean embroidery. Does the embird program allow you to transfer the appliques to the program so that you can manuever the names? I am new to this and the only program I have to the monogram wizard plus. Great tutorial! It is nice to see all the work that goes into just one step of completing one of your cute blankets. By the way, your sewing space looks pretty organized to me! Brilliant! I have been struggling with pieces of card and glue. Will try this now. 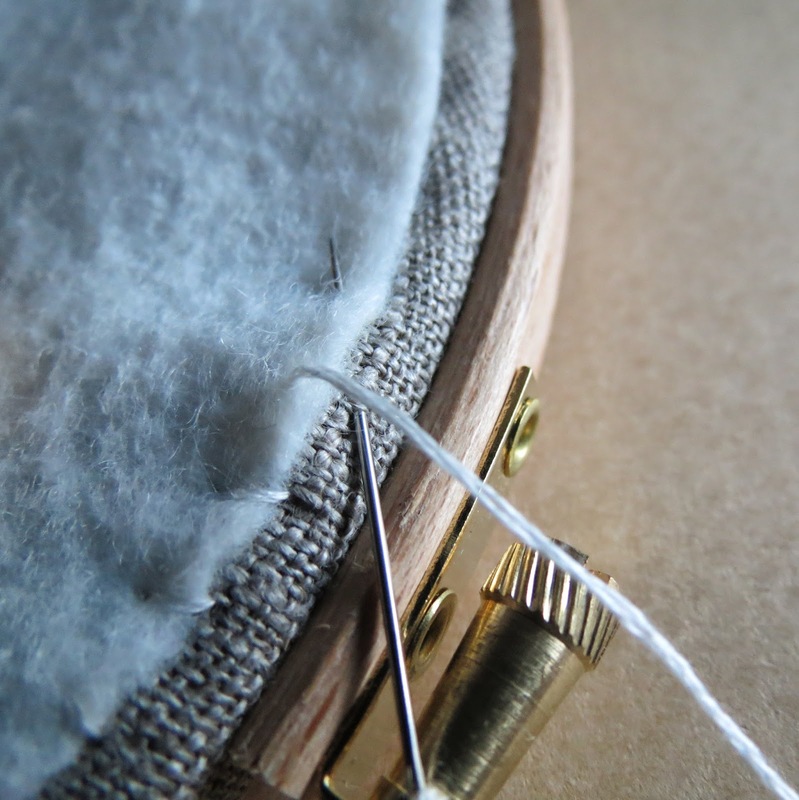 is the button for decoration only… Or do you use it to hang the needle work? I still have e6000 and hot glue on my finger tips from the last hoop I finished, but I now I know a better way. Thank you Sarah!! !